The famous late-night lives television variety show in America currently on its 44th season has jazzed up the attention of its audience by posting the line-up of its first 3 shows on twitter. The post showed that the SNL host for this weekend would be Adam Driver with Kanye West as the musical guest. The weekend of October 6th would be hosted by Awkwafina and Travis Scott as the musical guest. And the third show as mentioned in the post would be hosted by the late-night show host Seth Meyers with the musical guest Paul Simon. What really has caught the attention of the viewers is the host for the October 6th show. Ocean’s 8 and a recent hit movie, Crazy Rich Asians star Awkwafina would be the first Asian woman to host SNL in almost 20 years. The last time SNL saw an Asian woman was when Lucy Liu hosted the show with Jay-Z in the musical act back in 2000. With two hit releases and making history by hosting SNL, Awkwafina has made sure that 2018 be her year and that she isn’t stopping anytime soon. The said rapper and comedian had worked very hard and deserves every bit of attention and respect she is getting. For the record, SNL is not the only platform where the said star is a part of history. 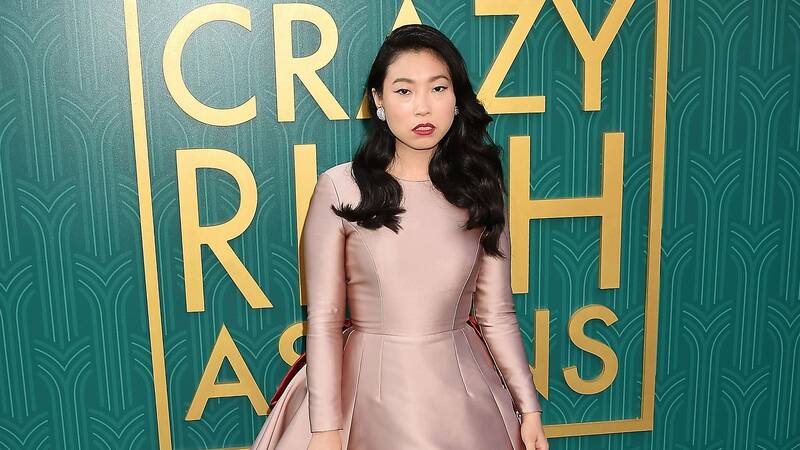 She recently starred in Crazy Rich Asians, the first Hollywood movie with an all Asian cast and Asian-American lead in 25 years. The movie was a huge success both critically and on the box office. The movie was highly praised for removing the Asian stereotype portrayed by Hollywood as is believed to set a new and a progressive path for Hollywood and eventually make way for many more talented Asian actors to get an equal opportunity like an American actor. After the release of the film the actress told the Hollywood reporter “this is an entire ensemble cast of talented Asian and American and British and Australian individuals that are doing things and changing the industry in their own way and we’re out there and we exist”. The movie opened better than any other rom-com since 2015 release trainwreck. And by the second week, the movie had gained another $25 million almost the same as its first weekly gain. “People didn’t believe we’d make as much as we did in the first weekend. In Hollywood they might have thought minority movies can’t bring it in,” said the comedian. When asked how Hollywood can improve the representation of Asians on-screen, the actress came up with a powerful response saying,” representation starts both in front and behind the camera. I think the big reason there aren’t a lot of our stories reflected is that people don’t know how to write for us or think they can’t write for us. Movies like Crazy Rich Asians, Black Panther and Girls trip have surely opened the gates for minority communities to Hollywood but Hollywood still has to go a long way to remove the stereotypes set by themselves and come up with equal opportunities for the actors of color.